for perfect relax in the middle of nature! comfortably furnished and equipped with every comfort ! located in hilly forests, surrounded by beautiful nature! From September 2017 we, Greta and Sytze Kooi, became the proud owner of this fantastic holiday home. The house stands on a beautifully landscaped park called Natuurpark "De Witte Bergen" in IJhorst. Located in a stream valley landscape called "the Reestdal". Where the winding river "de Reest" forms the border between the provincies Drenthe and Overijssel. In the middle of the woods, ideal for beautiful walks or bike rides. In the immediate vicinity there are plenty of possibilities, for everyone's interest, to make nice trips. 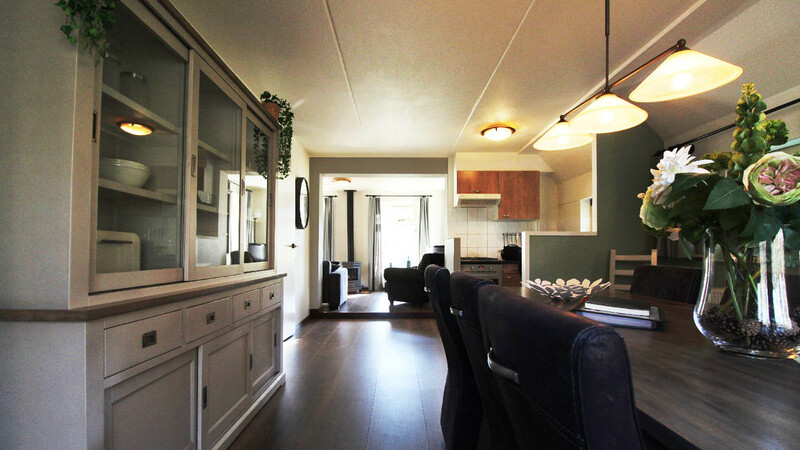 The detached holiday home offers an accommodation for 6 people. Furnished with three bedrooms, each with two beds, spacious living room with cozy stove, fully equipped kitchen, bathroom with bath and shower, dishwasher, washing machine, dryer, TV and free wifi. The adjacent storage room offers ample space for your own or rented bicycles. On the sheltered terrace behind the house, you can enjoy the silence, which is occasionally disturbed by sounds of a woodpecker or other natural-looking sounds. We have used the house to stay several weekends during the winter period. With this we try to escape from the business, where we live too, a bit and enjoy a totally different environment. In the summer we are always used with boating and watery landscapes and then we have no time for our house on the Witte Bergen. We would like to make the holiday cottage available to you to enjoy the most beautiful time of the year in this beautiful holiday home in an equally beautiful environment. 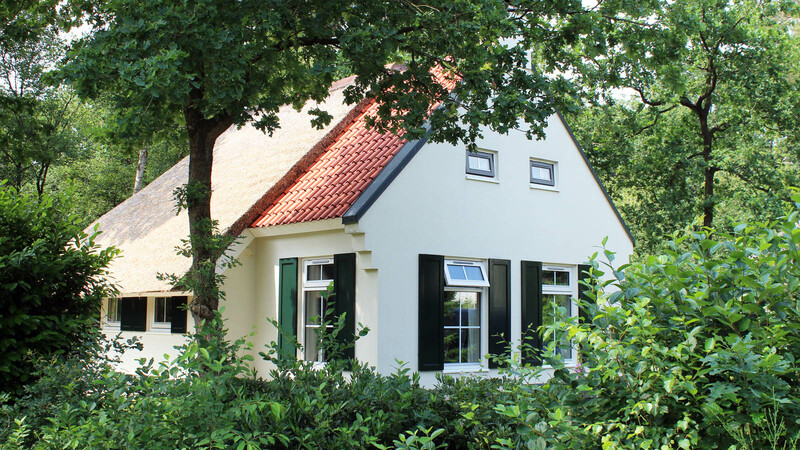 On the border of the provinces Overijssel and Drenthe lies the nature park "De Witte Bergen", IJhorst, the ideal destination for a quiet holiday in the middle of nature, near to the towns of Meppel and Zwolle. Ground floor: Spacious living room with TV and DVD player, open kitchen with dishwasher, one bedroom on the ground floor with two single box spring beds. Bathroom with bath and shower, separate toilet. 1st floor: Two bedrooms with two single beds each. From your holiday home you can start directly to go cycling in the surrounding forests and the beautiful Reestdaal. Bicycle rental (including e-bikes) available in the park. Before you book, you have the opportunity to contact the owner of this holiday home through this website. 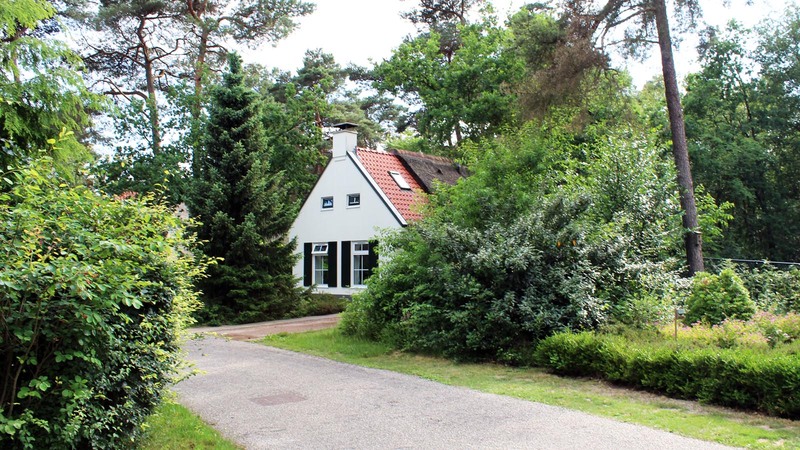 The house is located in the nature park "De Witte Bergen", IJhorst and will be rented out by Hoogenboom holiday parks. 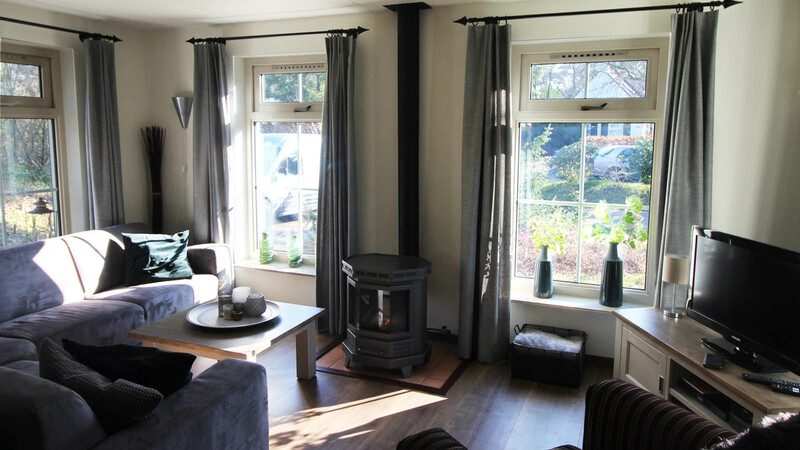 Rent a holiday home located in the middle of nature of Oberijssel, enjoy the peace, freedom, privacy and the environment. Take long walks in the wooded area or rent a bike for a bike ride (bike rental is available on the holiday park), or visit one of the beautiful towns in the area to visit museums or go shopping.